The growth of soul’s wings. It’s always felt as if I’m locked in a bird cage. Like a larva trapped inside a cocoon. But did you know that the cocoon is actually spun by the larva, which is a butterfly before it has wings? They make a silky case in order to protect themselves. They’re small, immature, not formed yet- and they know it. They feel scared and in need to hide. Yet the day comes, oh that blessed day, when the larva is almost forced to leave the cocoon it so loved and cherished. And yet hated all at the same time. I’ve grown so used to me in the form of a larva but I failed to realize at times that a larva is an undeveloped form of everything God wants me to be. It’s not something you want to be forever. There’s a time to be a larva but also a time to come out of the cocoon and let your wings spread. This change is not easy, it actually hurts a lot but with this pain comes a joy that far surpasses the pain. The joy of being free of anything that keeps you from fulfilling your God-given destiny. My wings have grown and I’ve felt the silky, comfortable cocoon break off of me little by little. I’m coming out. I’m already dreaming of the beautiful things I will see. I will feast on the flowers of spiritual richness. I can sense my wings against the warm wind. It’s the greatest feeling. I’m ready to be the woman my Creator wants me to be. 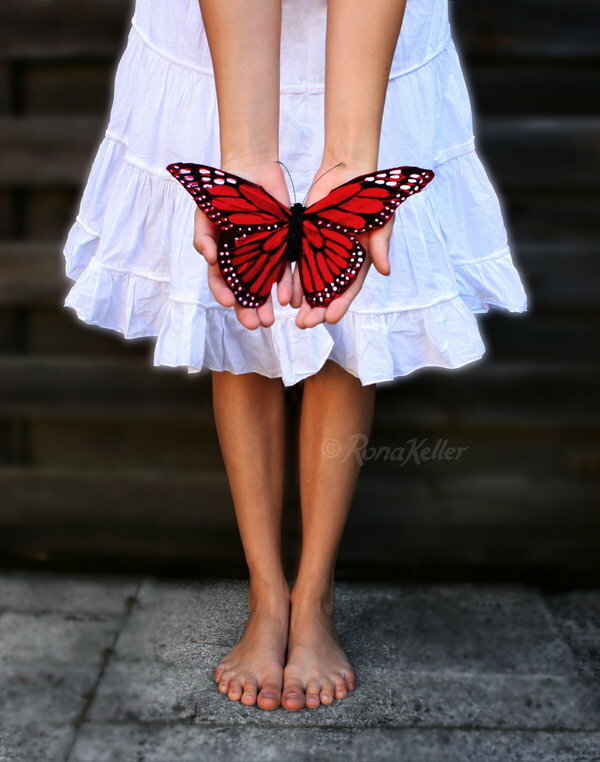 I will pay the price of becoming the most beautiful butterfly. I will soon open up my colorful wings for everyone to see. It will bring Him the highest of praise! So very few are able to choose to have the courage and fortitude to do what it is you are speaking of here, Estera. The best to you on this journey of yours.